Ballarat has come a long way since its gold rush years. 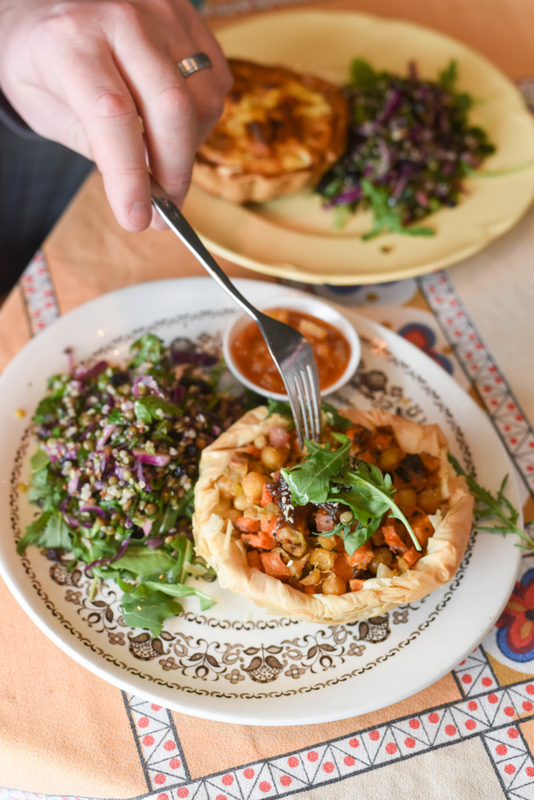 Only an hour out of Melbourne, the city has recently blossomed into a foodie and arts destination in its own right, which definitely deserves more than just a stop over. Ballarat is a thriving hub of restaurants, wineries, contemporary arts and events but this hasn’t compromised its historic heart and the city’s beautiful Victorian and Edwardian buildings. Here’s a guide to getting the most out of Ballarat on your next visit. Trust me, you don’t go home hungry or thirsty. 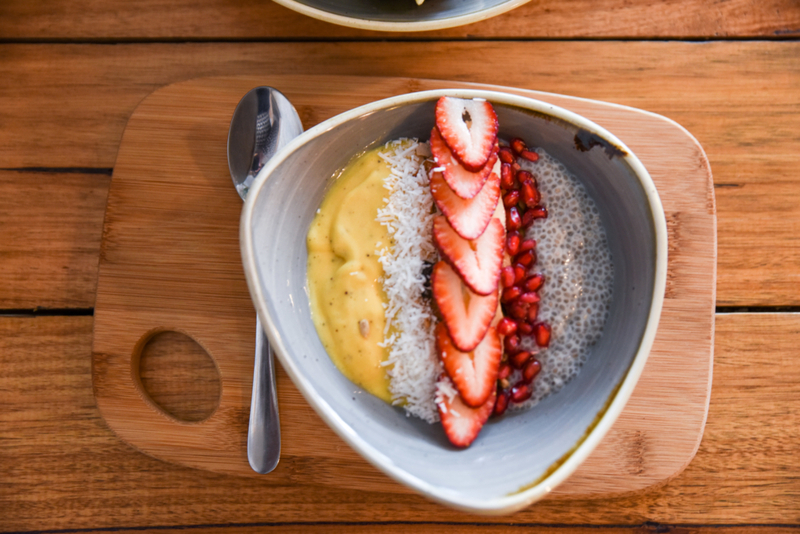 Who said Melbourne is the only city in Victoria to turn on a good brunch? 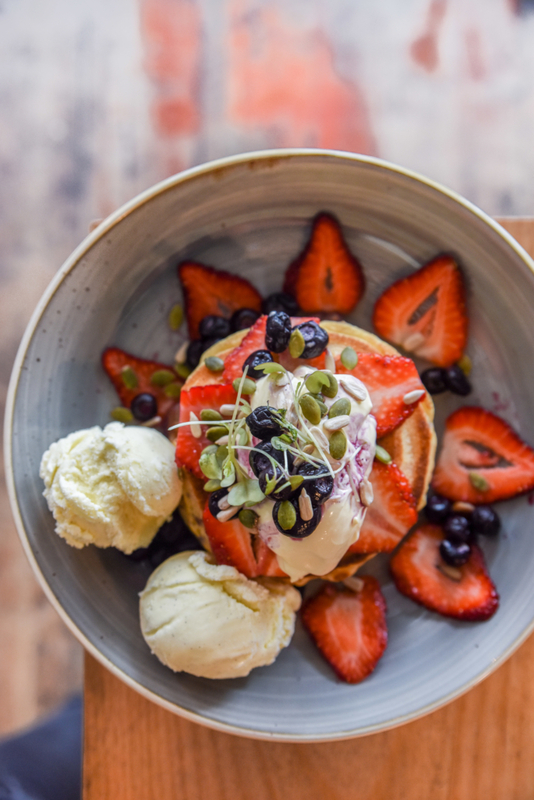 Ballarat has a flourishing brunch scene, home to a number of cafes which warrant a visit just for brunch. Perch at the window seat at Yellow Espresso, a bright and bustling café on Sturt Street, and feast on all day classics like their signature blueberry pancakes laden with maple syrup, mascarpone and berries, or on the healthy side, an acai berry bowl or their delicious corn and zucchini fritters. Ballarat’s only purveyor of Axil Coffee, Yellow Espresso, is definitely one of the best spots for coffee in town and is usually served in (you guessed it) a yellow cup. Venture a little bit further field to tree-lined Webster Street and you’ll soon find the picturesque Webster’s Market and Café. 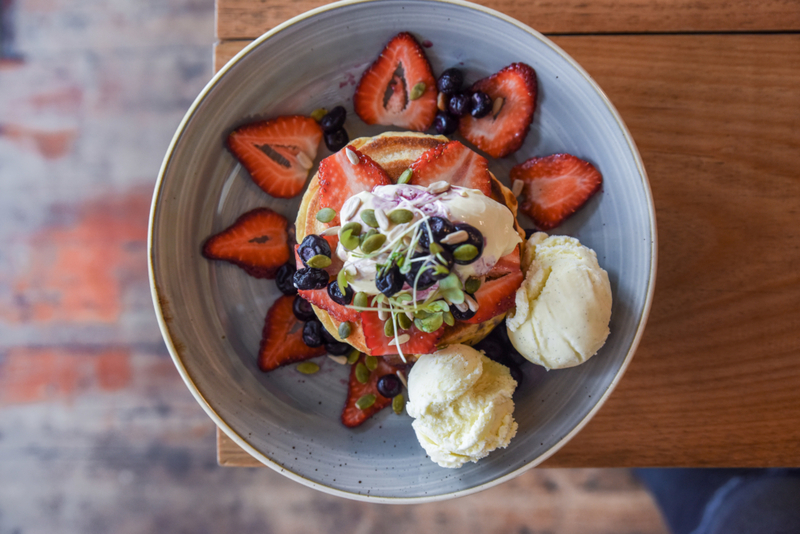 A local favourite, Webster’s brunch menu is full of delicious goodies like a mouth-watering prosciutto and asparagus waffle and a chocolate and chia pudding which is perfect for the summer months. If you’re feeling extra indulgent, a must try is the breakfast board laden with maple yoghurt, superfood sprinkles and poached rhubarb, house cured salmon, smashed avocado and fetta, poached egg, sourdough and fruit toast. Feeling peckish yet? When you ask a local what their favourite restaurant is in Ballarat, the reply is often unanimous – Café Meigas! Here you can feast on delicious Spanish tapas like slow cooked paella, stuffed croquetas, Galician style octopus and a sizzling plate of prawns with garlic, chilli and chorizo sautéed in red wine. Make sure you save room for dessert and finish with their signature churros served with a rich chocolate sauce. Head Chef, Jose Fernandez, has crafted a beautiful menu which stays true to traditional Spanish cuisine using distinct local specialities and punchy flavours. Just make sure you reserve a table in advance to avoid disappointment. The atmosphere matches the food, warmed up by cosy furnishings and friendly staff. After a wine or two you may trick your mind into thinking you’re in a bodega in the heart of Spain. Pop in for lunch at Kitteltey’s, a small family run cafe in Lydiard Street, conveniently positioned just inside the Art Gallery of Ballarat. This is comfort food at its best and the front counters are always brimming with freshly made quiches, pies and sandwiches. Kitteltey’s are especially famous for their delicious cakes which range from their luscious plum and frangipani cake to their super rich chocolate Guiness cake and, crowd favourite, lemon meringue. All recipes are drawn from Sara’s extensive library of cookbooks and are often made during one of her midnight baking sessions. There’s a good reason why Ballarat is called the beer capital of Victoria. 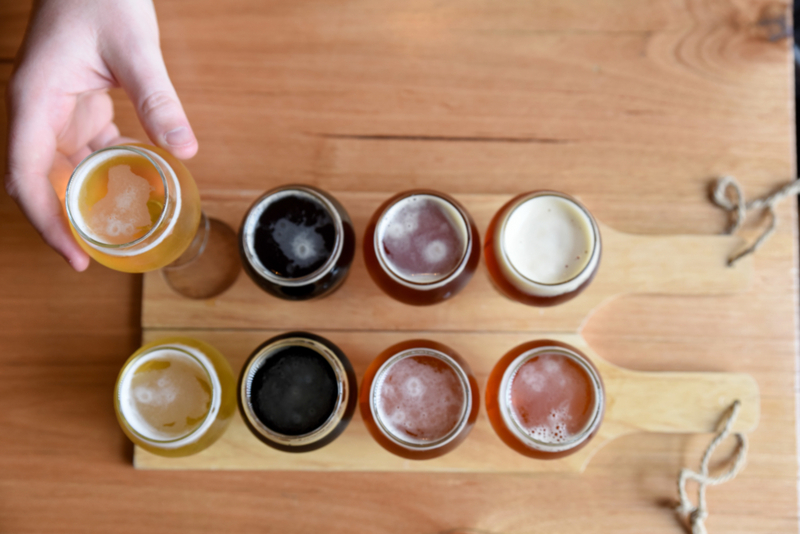 Ballarat not only has a rich brewing history, but it is also home to four major breweries including the Athletic Club, O’Brien and Rebellion, Red Duck and Cubby Haus. Follow the beer trail and sample the best local beer on offer as well as getting “behind the brew” in all the action behind the scenes and meet the unique characters that bring these establishments to life. Whether you’re looking for natural, unfiltered or traditionally brewed beers, you’re sure to find it in Ballarat. Finish up at the Athletic Club Brewery for a tasting paddle matched with some of their delicious sharing plates. a regional produce board brimming with cheeses, olives, terrine and charcuterie served with sourdough. 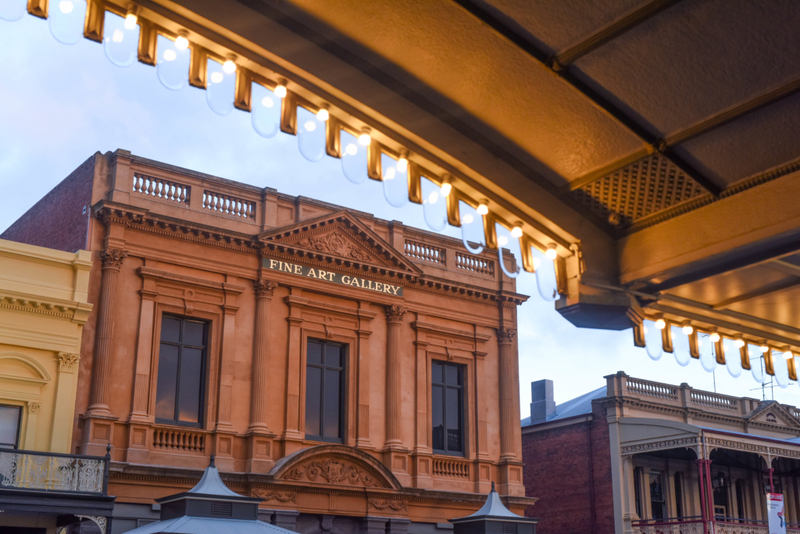 The Art Gallery of Ballarat is the oldest and largest gallery in regional Australia. 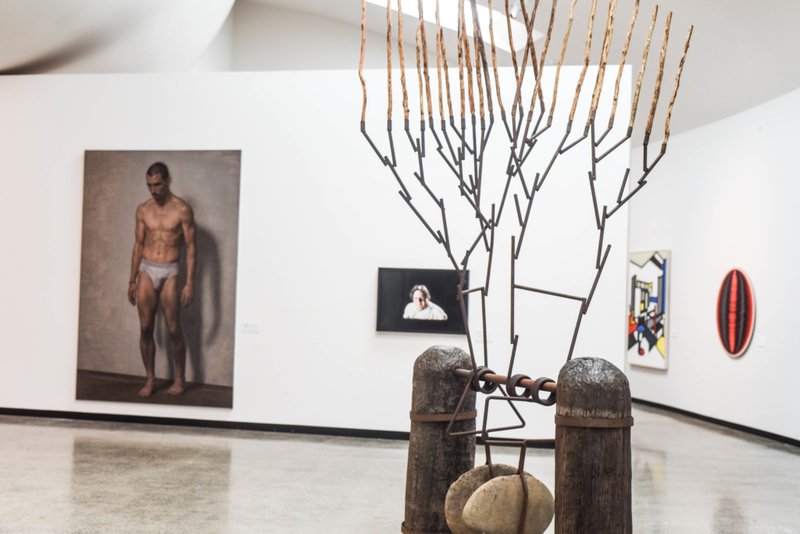 Whether you are interested in the history of Australian art or new art in temporary exhibitions, there’s always something to see for the fussiest art fanatic here. Until the 28th January 2018, the Art Gallery is hosting the Romancing the Skull Exhibition which explores a range of themes including the skull as a reminder of our mortality, the use of the skull in addressing social and political issues, and the skull and crossbones as a symbol of piracy and rebellion. Alternatively just get lost in the streets of Ballarat and admire the beauty of its historic buildings and architecture. 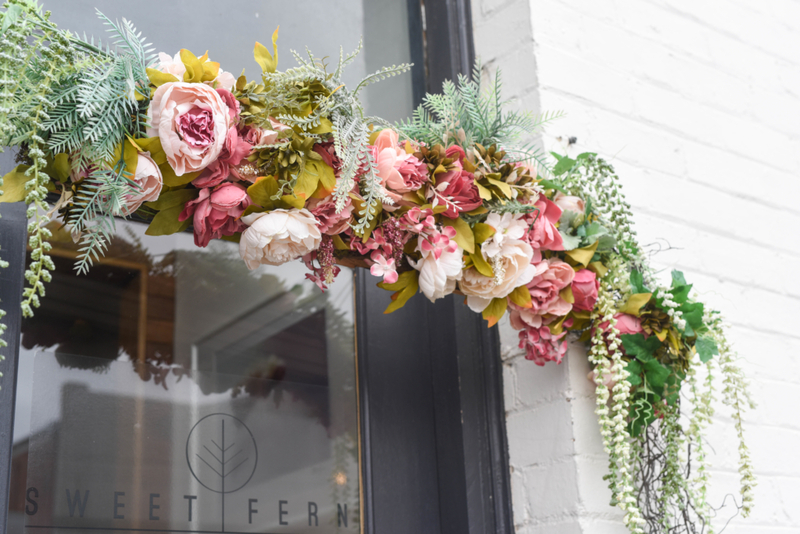 Sweet Fern Fragrance Boutique is the only niche perfumery in regional Australia and houses a large collection of the finest perfumes in the world. Owned by husband and wife duo Simon and Kate Robinson, Sweet Fern specialises in exclusive and luxurious body, bath and home fragrances. It’s the perfect place to pick up a gift or just treat yourself! The perfumery also offers private perfume masterclasses and each guest is treated to a glass of French champagne and a sweet treat. Sound tempting? 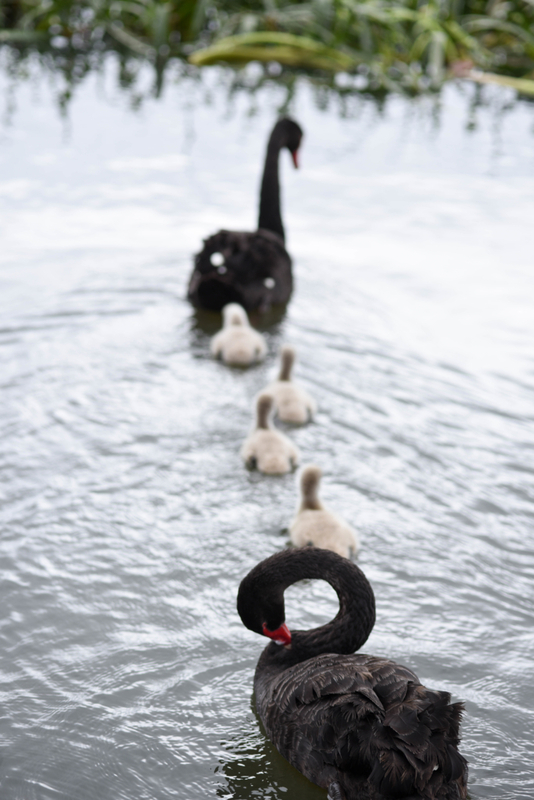 Wander or cycle around the picturesque Lake Wendouree and the Ballarat Botanical Gardens. 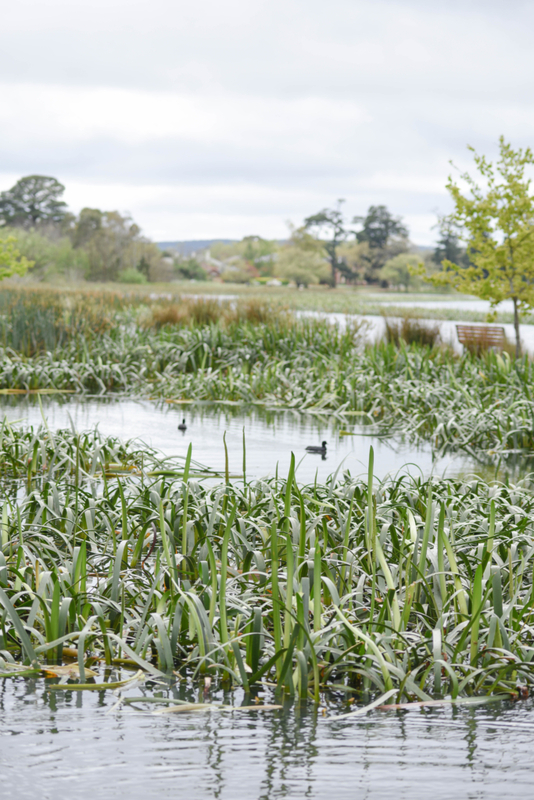 One of Australia’s most significant cool climate gardens, the Ballarat Botanical Gardens stretch over 40 hectares and are home to a collection of trees and flowers. 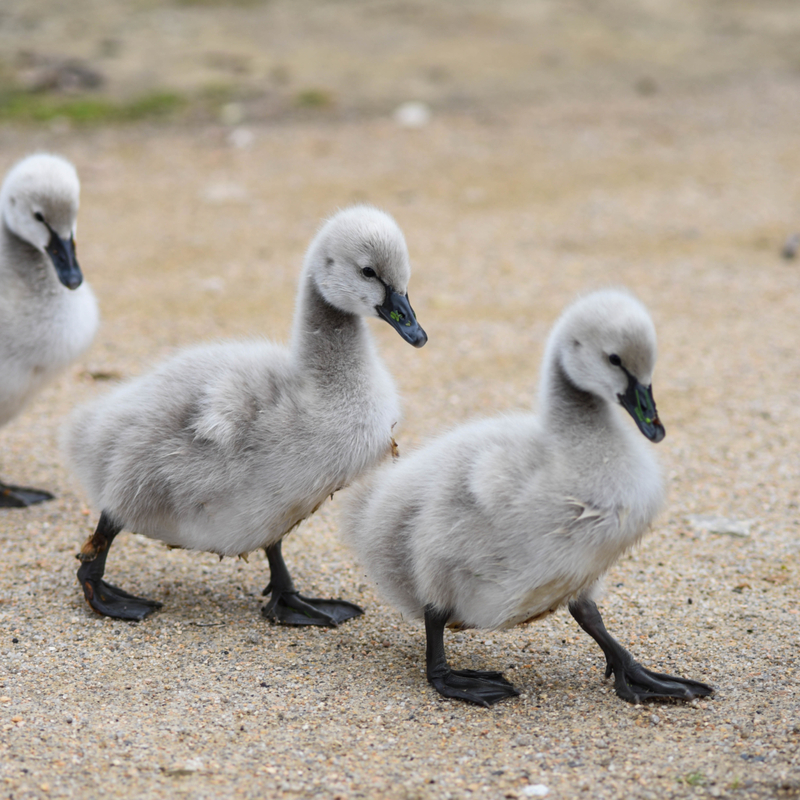 Lake Wendouree is the perfect place to bird watch, go canoeing or just have a picnic or barbeque on the banks. It’s particularly magical around sunrise or sunset. 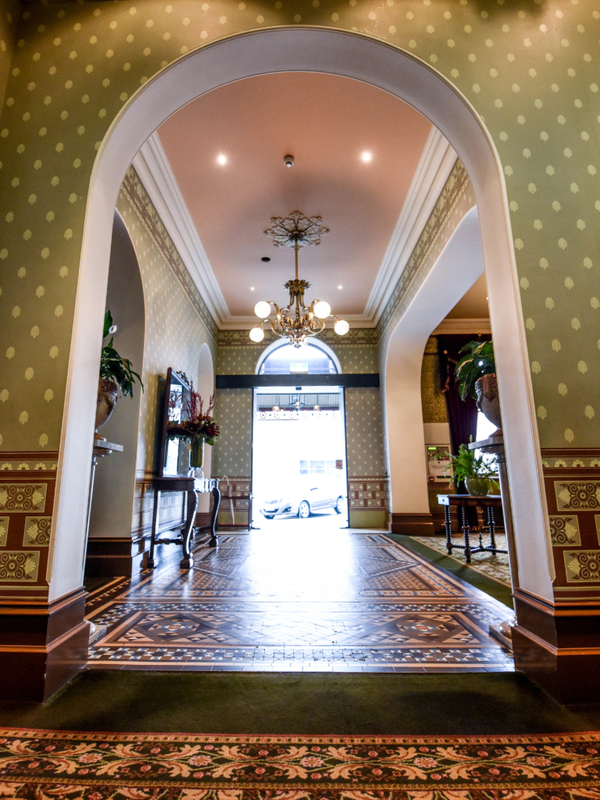 Located on historic Lydiard Street in the heart of Ballarat, Craig’s Royal Hotel is as grand as they come. A true icon of the Victorian period, the gold-rush era hotel has undergone an extensive restoration and now houses grand accommodation and brilliant dining facilities. Housing 41 boutique rooms, no room in the hotel is quite the same and each is beautifully furnished. I was kindly hosted by Visit Ballarat for this experience. All views are honest and my own. Surprise, surprise…always the same cafes getting a mention. A little biased as I own, work & run The Local cafe..the other end of Lydiard St Nth. Such a nice place to visit ..